The need for skills and knowledge for increasingly complex sports turf management processes was identified as a priority skill area in the 2018-2021 Agriculture, Horticulture, Conservation and Land Management IRC Skills Forecast and Proposed Schedule of Work (see pages 88 – 90). The Skills Forecast proposed the review of two Sports Turf Management qualifications (Certificate II and Diploma) and the 38 units of competency listed in these qualifications. After consultation with industry and the Amenity Horticulture, Landscaping, Conservation and Land Management Industry Reference Committee (IRC), the project scope has been adjusted to review four sports turf management qualifications (Certificate II, III, IV and Diploma) and 17 turf specific units of competency. Skills Impact and the Amenity Horticulture, Landscaping, Conservation and Land Management IRC will manage this project, consistent with the 2012 Standards for Training Package Development. This project will review and update four existing sports turf management qualifications and 17 related units of competency to reflect current industry practices, and incorporate the latest technologies, equipment and advances in turf agronomy. The qualifications will be reviewed and updated to include work functions that reflect current job roles in the industry. The units of competency and their related assessment requirements will be updated to reflect the requirements and detail industry has been seeking, to support quality training and assessment in this sector. The qualifications and units will comply with the Standards for Training Packages 2012 and will be incorporated in the AHC Agriculture, Horticulture and Conservation and Land Management Training Package. Review of the four existing Sports Turf Management and 17 related units of competency units of competency in the AHC Agriculture, Horticulture and Conservation and Land Management Training Package. The project may develop up to five new units and five new skill sets. Stakeholder input is appreciated throughout the duration of this project. The documents will be drafted in consultation with Subject Matter Experts and their networks. Opportunities to provide targeted feedback will occur when the draft materials are made available, which is expected in late October 2018, and again for validation of final drafts which is expected in February 2019. However, your feedback is welcomed at any time, and will help us in drafting the qualifications, skill set and units. It is important that training provides a skilled and flexible workforce for the future. The qualifications, skill sets and units need to reflect real work experience. So if you work in the sector, Skills Impact would appreciate your input and help. Please feel free to register your interest for project updates and consultation opportunities by following the newsletter subscription link below. Alternatively, please feel free to contact the project manager, Tom Vassallo on 03 9321 3526 or tvassallo@skillsimpact.com.au. Work commenced in September 2018 to review and redevelop the four existing sports turf management qualifications and 17 related units of competency in the AHC Agriculture, Horticulture and Conservation and Land Management Training Package. 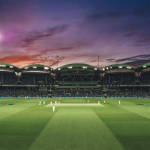 This work has been assisted by input from a Subject Matter Expert Working Group that includes representatives from various sub-sectors of the sports turf management industry across Australia. Draft qualifications and units will be available for broad consultation in late October. The revised draft qualifications and units will be made available on this webpage for public consideration and feedback from late October to late November 2018 (under the ‘Drafts Available’ menu above). Face-to-face consultation workshops will also take place, across states and territories, with two webinars planned for those unable to attend in person. Registrations for these workshops are now open. Please feel free to register for a workshop near you or a webinar by clicking the corresponding link. Thank you to all those who provided feedback on the three revised qualifications, four new skill sets and 18 revised units of competency. The drafts were made available on this webpage for broad stakeholder review from 25 October – 25 November 2018. Feedback was sought on whether the draft qualifications, skill sets and units reflect the current skills standards and practices of industry, and whether job functions are accurately described. Feedback will inform the work on the final drafts which will be available for industry validation in February 2019. They have been revised to include work functions that reflect current job roles in the industry and incorporate the latest technologies, equipment and advances in turf agronomy. Feedback on the draft documents was collected via the online feedback hub, face-to-face consultation workshops and webinars. To view the draft documents, including comments that were made on them from people using the feedback hub, please click on the expandable document menus below. The draft qualifications, skill sets and units have been drafted in consultation with a Subject Matter Expert Working Group that includes representatives from various sub-sectors of the sports turf management industry, across Australia. After completing a Workforce Functional Analysis, the working group provided detailed information on the skills and knowledge required to perform the job roles and functions. This existing unit – AHCTRF303 Implement a grassed area maintenance program – was available for review and feedback between 21 December 2018 – 23 January 2019. Views were sought on whether the unit describes the work functions accurately. In particular, whether the unit should require the coordination, follow up and monitoring of a work team which are included in performance criteria 1.5, 1.6, 3.1 and 4.1. The draft documents can be downloaded in Microsoft Word format by clicking here. The Certificate IV in Sports Turf Management is proposed for deletion. Feedback from subject matter experts suggests the qualification no longer meets industry needs. The two sports turf management units (AHCTRF401 Develop a sports turf maintenance program and AHCTRF402 Plan and implement sports turf renovation) in this qualification have been reviewed and are now part of a new skill set titled – Advance technical skills set for sports turf managers. They have also been added as electives in the redesigned Diploma of Sports Turf Management. Thank you to those who participated in the validation process for the final draft qualifications, skill sets and units of competency. The final drafts were made available on the Skills Impact website from 4 – 21 February 2019. They have been revised to include work functions that reflect current job roles in the industry and incorporate the latest technologies, equipment and advances in turf agronomy. The final drafts will shortly progress through to the Finalisation stage of the project which includes quality assurance of the documents and review and feedback from the State/Territory Training Authorities. They will then be forwarded to the Amenity Horticulture, Landscaping, Conservation & Land Management Industry Reference Committee for consideration and sign off, before being submitted to the Australian Industry and Skills Committee (AISC) to consider and approve for publication on training.gov.au. Validation means checking and confirming that the documents are logical and factually accurate. Prior to the Validation period, the draft qualifications, skill sets and units of competency were made available on the Skills Impact website under the ‘Drafts Available’ stage from 25 October – 25 November 2018. The drafts included three revised qualifications, four new skill sets, 16 revised units and one new unit. Feedback was also sought on the proposed deletion of the existing AHC40816 Certificate IV in Sports Turf Management. From 21 December 2018 – 23 January 2019, the revised unit AHCTRF303 Implement a grassed area maintenance program was available for review and feedback. The feedback received has been considered with assistance from a Subject Matter Expert Working Group that includes representatives from various sub-sectors of the sports turf management industry across Australia. A major change arising from the feedback has been the restructure of the Diploma of Sports Turf Management, including the decision to abort the proposed new unit AHCTRF5XX Design sand based profile for sports turf surfaces and transfer some key outcomes from the unit and include them in a redesign of the existing AHCTRF501 Plan the establishment of sports turf playing surfaces. A description of how this feedback has been considered and applied in these final drafts can be downloaded below. Please click the ‘Download Summary of Feedback, Responses and Actions’ button. Click here to download a zipped folder of all units in this group. Minor change to mix of Core and Elective units. AHCTRF201 Assist with turf construction removed from core and placed in Electives, AHCIRG217 Assist with pressurised irrigation operations added to Core. AHC40816 Certificate IV in Sports Turf Management The Certificate IV in Sports Turf Management is proposed for deletion. Industry feedback suggests the qualification does not reflect current job roles. * This existing unit – AHCTRF303 Implement a grassed area maintenance program – was available for review and feedback between 21 December 2018 – 23 January 2019. Views were sought on whether the unit describes the work functions accurately. In particular, whether the unit should require the coordination, follow up and monitoring of a work team which are included in performance criteria 1.5, 1.6, 3.1 and 4.1. The final draft units of competency, skill sets and qualifications are currently undergoing an edit and equity and independent quality assurance process. Part of this process involves the Amenity Horticulture, Landscaping, Conservation and Land Management Industry Reference Committee providing support for the final documents. Once this process has been completed, the qualifications, skill sets and units will be forwarded to the State/Territory Training Authorities (STAs/TTAs) for their consideration and to seek their support for submission to the Australian Industry and Skills Committee (AISC). Comments from the STAs/TTAs will be reviewed before the final drafts are forwarded to the IRC. After consideration and sign off by the IRC, the final drafts will be submitted to the AISC as part of a Case for Endorsement, for their consideration. The Case for Endorsement will provide information about what changes have been made to the training package including, where relevant, information on new or updated units, skill sets and qualifications. It will also outline who has been consulted and provided feedback throughout the project, why the changes were made, and what the implications of the changes are. A Companion Volume Implementation Guide is also being produced as part of this project. It will contain key information to help registered training organisations (RTOs) implement the units, skill sets and qualifications, including the key work and training requirements in the industry; regulation and licensing implications for implementation; pathways advice; industry sectors and occupational outcomes of qualification; and advice on workplace health and safety implications. What is involved in the Edit and Equity and Quality Assurance Process? The final draft units of competency, skill sets and qualifications are reviewed to ensure they are of high quality and comply with the Standards for Training Packages 2012, the Training Package Products Policy and the Training Package Development and Endorsement Process Policy. This process ensures that any barriers to training have been identified, acknowledged, addressed and reduced as far as possible, to enable people to gain the skills required to participate in the workforce and society. This process also ensures the Companion Volume Implementation Guide provides key information to help registered training organisations (RTOs) implement the units, skill sets and qualifications, including the key work and training requirements in the industry; regulation and licensing implications for implementation; pathways advice; industry sectors and occupational outcomes of qualification; and advice on workplace health and safety implications. Once submitted to the AISC, the final draft documentations will be made available for download below.